There are several types of DUI cases and certain types of cases are much more serious than others. Ordinarily, when a Phoenix Arizona attorney refers to a DUI case, they are referring to a first offense DUI by a person who had a valid driver's license at the time of the offense. If you live in Arizona and have a prior DUI conviction or if your driver's license was suspended, revoked, cancelled, refused, or restricted at the time of the alleged DUI offense, you might be facing a much more serious DUI charge than the first time DUI offender. The Phoenix, Arizona DUI attorneys with Arentz Law Group PLLC understand that different DUI charges require a different defense strategies. 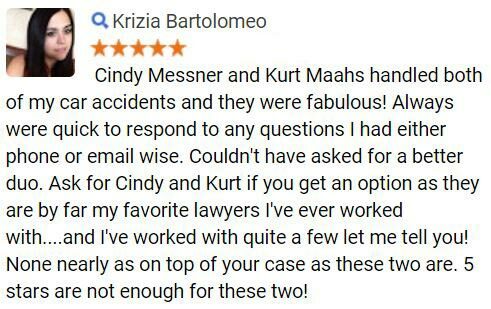 Their DUI attorneys can provide you with the experienced representation you need to ensure that you get the best possible outcome for your case. Contact their Phoenix, Arizona DUI attorneys to schedule a free consultation and discuss your individual case. A first offense DUI is a Class 1 Misdemeanor criminal offense that is very serious. With a first offense DUI, there are a range of penalties the judge may impose so it is important to involve in your case experienced DUI attorneys as soon as you are charged. In Arizona, there is a minimum mandatory jail requirement of one to ten days with a maximum jail term of six months. You can also be fined from $250 to $2,500 plus surcharges and placed on probation for up to five years. You can also have your driver's license or driving privileges suspended, revoked or restricted. If your driver's license is suspended as the result of an admin per se (notice that the Motor Vehicle Division plans to suspend your driver's license), the suspension is ninety days. During the ninety days, you cannot drive at all for the first thirty days and you may be eligible for a restricted license for the next sixty days. A DUI case usually consists of two citations. A Phoenix and Arizona DUI attorney will refer to these citations as the (A)(1) charge and the (A)(2) charge. A person violates the (A)(1) charge by driving or being in actual physical control of a motor vehicle while his/her ability to drive is impaired to the slightest degree by alcohol, drugs or any combination. A person is charged with violating the (A)(2) charge if his/her blood or breath alcohol concentration is greater than the statutory limit. The limit was 0.10% B.A.C. before August 31, 2001, and then the limit dropped to 0.08% B.A.C. A person violates this statute if his/her alcohol concentration exceeds the limit within two hours of driving. There are also two less common types of DUI, called an (A)(3) charge and an (A)(4) charge. An (A)(3) charge is used if the defendant is suspected of driving under the influence of drugs. An (A)(4) charge can result if the defendant is driving a commercial vehicle with a B.A.C. of 0.04% or more. If the defendants blood or breath alcohol concentration exceeds the statutory level he/she will probably also receive an admin per se or Implied Consent Affidavit. This is notice that the Motor Vehicle Division plans to suspend the defendants driver's license or Arizona driving privileges. This is an important document because if it is not responded to immediately (by requesting a hearing), the license will be suspended on the fifteenth day after the defendant was served with the affidavit. The defendant can request an M.V.D. hearing or he/she can contact DUI attorneys for assistance. There is nothing to lose by requesting a hearing and such a request will help to delay and/or avoid the suspension. A DUI conviction results in an eight point moving violation on the driving record. These points can also result in another driver's license suspension or an assignment of traffic survival school. How this will affect the defendant depends on how many other moving violations the defendant has on his/her driving record. A Phoenix DUI attorney can help you defend a first offense DUI charge. In Arizona if you have been previously convicted of DUI in the past 5 years (date of arrest to date of arrest) you will be facing a longer mandatory jail term. If you have one prior DUI within 5 years, the minimum jail sentence is 30 to 60 days with a maximum term of up to six months. A second DUI conviction within five years would also require a minimum one-year driver's license revocation. Revocation is more serious and this means your driver's license does not automatically come back unless you reapply and are approved. This is a long-term process that requires you to stop drinking alcohol all together. A person who is convicted of a second offense will be required to install and maintain a vehicle interlock device on all personal vehicles he/she drives, for a period of at least one-year following the restoration of the driver's license. If you are charged anywhere in Arizona with a DUI, you have a right to a jury trial. Extreme DUI is a more serious version of the second offense DUI charge. This is also a relatively new law that took effect on December 1, 1998. A violation of Extreme DUI occurs when your blood or breath alcohol concentration exceeds a greater statutory limit. Arizona Revised Statue 28-1382 defines Driving Under the Extreme Influence of Intoxicating Liquor. The statutory limit for Extreme DUI is 0.15% B.A.C. An Extreme DUI conviction has a minimum mandatory jail term of 30 days and a fine of $500.00 to $2,500.00 plus surcharges. You can also be placed on probation and have a driver's license suspension. You will also be required to install and maintain a vehicle interlock device in all personal vehicles you drive for a period of at least one-year after your driver's license has been restored. Dont take chances with a DUI charge. Contact a Phoenix, Arizona DUI attorney by calling 1-800-706-3000 to discuss representation. An Extreme DUI with a prior DUI conviction in the previous 5 years carries a mandatory jail sentence 120 days to six months. The Ignition Interlock Device is again required. 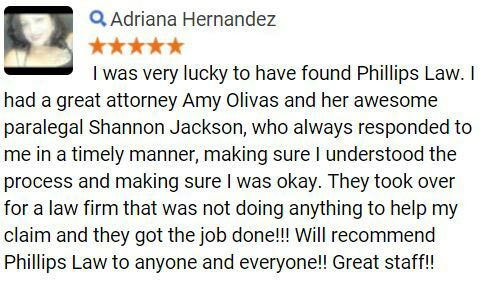 Because Extreme DUI is a very serious offense, we recommend you call a Phoenix and Tucson area, Arizona DUI attorney to set up a free office visit. Aggravated DUI With No Valid Driver's License. Aggravated DUI with two prior convictions in the past five years. Aggravated DUI with a child under 15 in the vehicle. You have a right to a jury trial on Aggravated DUI. This form of Aggravated DUI is a Class 4 Felony that requires a mandatory prison term upon conviction. County jail and work release programs are not available under this law and the presumptive prison term is three years. The minimum mandatory prison term is four months but if the defendant is released on probation, he/she will return to prison if there is a subsequent violation. It is possible in some cases for a Phoenix, Arizona DUI attorney to negotiate a plea agreement to a different charge that would allow work release. An Aggravated DUI conviction also requires a mandatory minimum three year driver's license revocation. After this revocation period, the license will not come back without a reinstatement application and approval by the M.V.D. By law, the driver's license cannot be reinstated unless the M.V.D. believes the defendant will not endanger society by driving while intoxicated. A Phoenix and Tucson area DUI attorney can provide advice and counseling on this issue and help people get their licenses back. The Ignition Interlock Device is required upon conviction for Aggravated DUI, and it is also possible that the vehicle used may be subject to forfeiture to the State of Arizona. (2) The prior DUI convictions are an element of the offense and must be valid and have occurred within the five year period. A Phoenix, Arizona DUI attorney can use either or both elements to aid in your defense. If convicted, the Ignition Interlock Device is required and the vehicle used in the offense may also be subject to forfeiture to the State of Arizona. You have a right to a jury trial on Aggravated DUI and a separate trial on the issue of prior convictions. This is a Class 6 Felony and occurs if you commit a DUI or Extreme DUI while a person under fifteen years of age is in the vehicle. Normally, a separate felony charge is filed for each child in the vehicle. 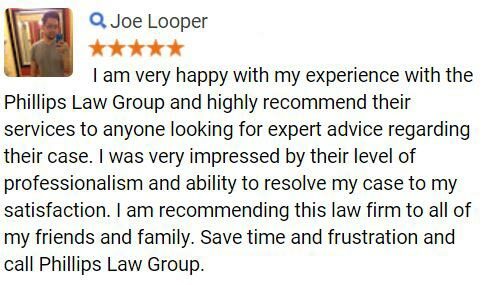 The State treats this as an extremely serious offense and a Phoenix, Tucson area, Arizona DUI attorney will recommend that you seek legal representation immediately. A Class 6 Felony carries a presumptive prison sentence in the Department of Corrections of 1-year, with a mitigated sentence of six months and an aggravated sentence of 1.5 years. Instead of a prison term, a judge may order up to 10 years of supervised probation with conditions which may include alcohol counseling, a fine, and up to 12 months in the county jail. A Class 6 Felony Aggravated DUI does not carry a minimum jail term other than the normal DUI minimum sentences, (1st offense: 10 days; 2nd offense: 90 days; Extreme: 30 days; 2nd offense extreme: 120 days), but the minimum sentences are not imposed as often if a child is in the vehicle. A Phoenix, Arizona DUI attorney can explain the jail penalties to you so you fully understand the possible outcomes of your case. A judge has the authority to designate the offense a misdemeanor or felony. The judge may also treat the offense as open-ended offense, in which case it will be designated a misdemeanor upon successful completion of probation or designated a felony if the judge chooses. A Class 6 Felony Aggravated DUI conviction also requires a minimum three year driver's license revocation that will not be reinstated without an application and approval. Other penalties include a required Ignition Interlock Device that tests for alcohol use before a vehicle may be started. The motor vehicle owned and operated that the time of the offense may also be seized and forfeited to the state. Because of the various penalties that may be imposed, it is recommended that those charged with this offense secure experienced DUI representation. DISCLAIMER: Arentz Law Group PLLC and Phillips Law Group, P.C. are separate, independent law firms from other firms listed on this website. 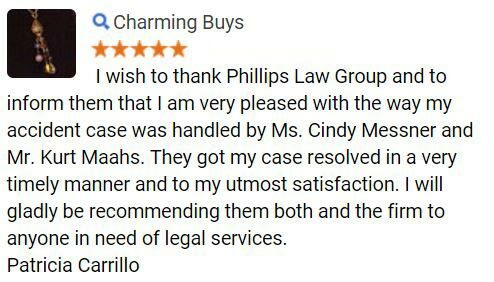 Phillips Law Group, P.C. handles only contingency fee cases. This includes automobile and vehicle accidents and all personal injury cases. We also handle medical malpractice, product liability, employment, wage and hour cases, Social Security disability, and workers' compensation cases.Arentz Law Group PLLC handles criminal and DUI cases, as well as consumer bankruptcy and debt relief cases.